About 1.5 months ago, I organized a giveaway in conjunction with mr-stingy’s 3rd anniversary. I finally have the results. Anyway, 78 current subscribers and 88 non-subscribers took part in the giveaway. There were two separate categories, because you know — I have to reward my loyal subscribers a little differently than the general public right? But not only was I organizing a giveaway competition, I was also trying to get feedback from you guys on what I should write in my upcoming book. And before I announce the winners of the giveaway, I thought you guys might be interested to see what your fellow readers are saying. 1. 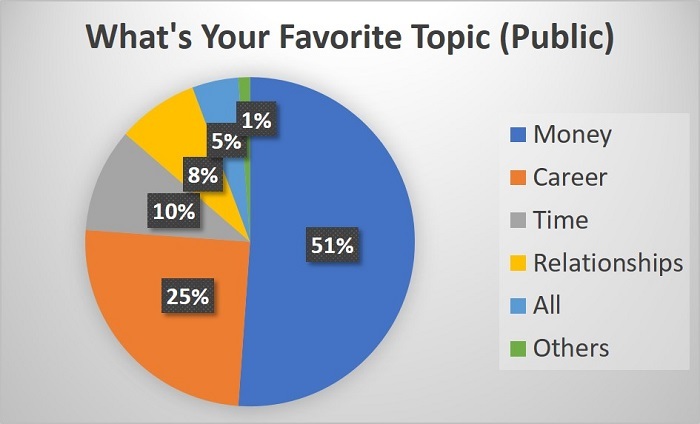 What’s Your Favorite Topic for Me to Write About? Not surprisingly, most of my subscribers (59%) like me to write about Money. Career was a distant second, and Time was third. 2. What Should I NOT Write About? 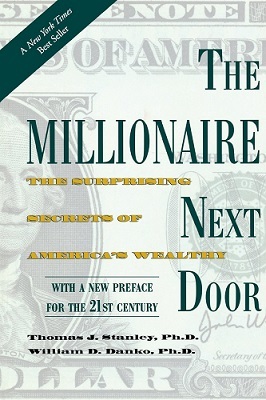 Nobody said they dislike my writings about Money. 3. How Much Are You Willing to Pay for My Physical Book? 4. 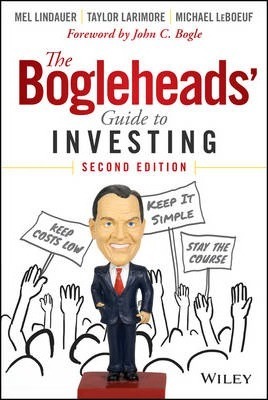 How Much Are You Willing to Pay for My E-book? That’s really helpful, because it gives me a good idea on how to price my books. But first, let’s see what the non-email-subscribers are saying. 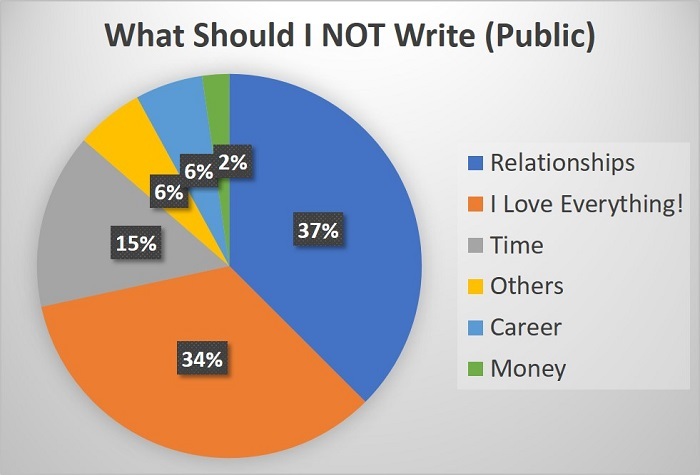 Most people still prefer me to write about Money (51%) and Career (25%). 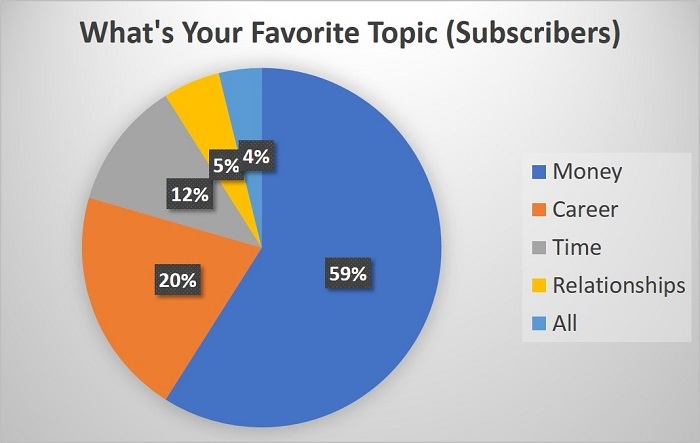 Interestingly, slightly more people wanna hear about non-money related topics as compared to my existing email subscribers. 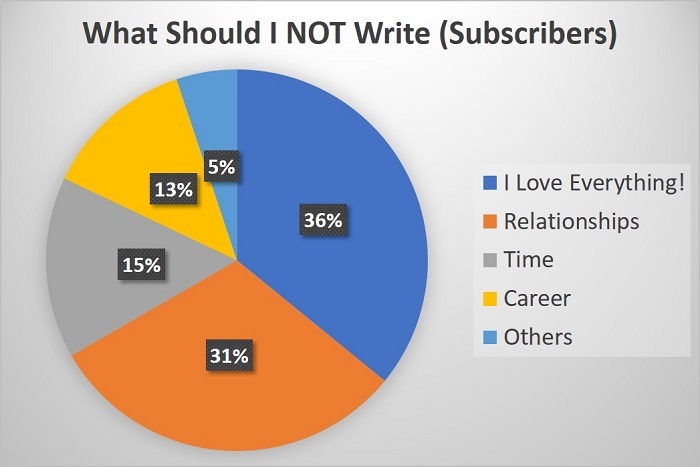 37% here say that I shouldn’t write about Relationships, while 34% love everything I write about. Point taken — when I do touch about Relationships in my book, it’ll likely be written through the “Money and Relationships” lens. Wow, that’s interesting — my non-email subscriber readers are willing to pay slightly more for the physical book, but slightly less for the E-book. I’m now convinced the physical book needs to be priced around RM 43, while the E-book should be priced RM 20 and below. p.s. As part of the giveaway, all non-subscribers have now been added to mr-stingy’s mailing list. Winners were selected using a totally random process, and will be contacted via email. And yes, if you referred your friends — you had additional chances to win. Finding Purpose/Meaning, Career Happiness, Money, Cost of Living, Retirement, Investment, Relationships. Congratulations to the winners and thank you everyone for participating. Lastly, thank you for making me believe that I’m doing something worthwhile with this writing thing. You might never fully understand how much this means to me, but I’m eternally grateful to all of you.